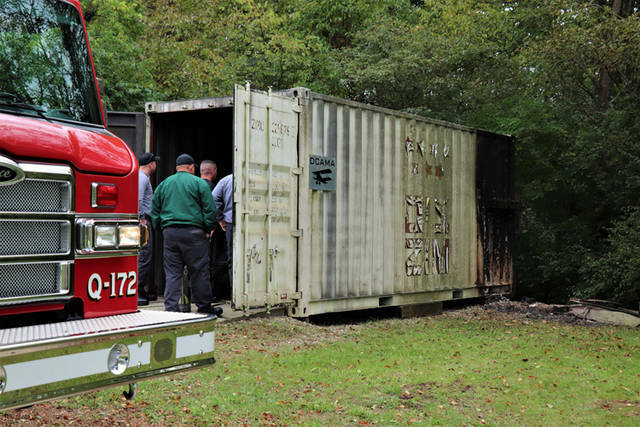 Authorities on scene think a fire at Landess Field had been started some time over the night and was contained to the outside of a shipping container used for storage, burning itself out before being discovered Friday afternoon. GREENVILLE – A fire discovered at the Darke County Aeromodelers Association Friday afternoon is under investigation and believed to be suspicious in nature. 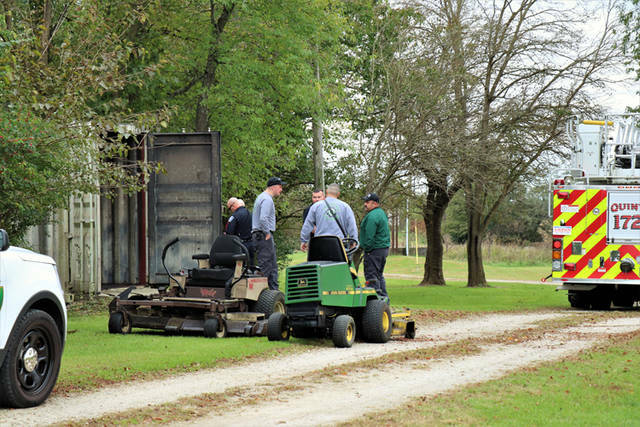 At approximately 1:30 p.m., personnel from the Greenville City Fire Department as well officers from Greenville City Police were dispatched to Landess Field located in the 400 block of Chestnut Street in regards to the remnants of a fire discovered at the location. 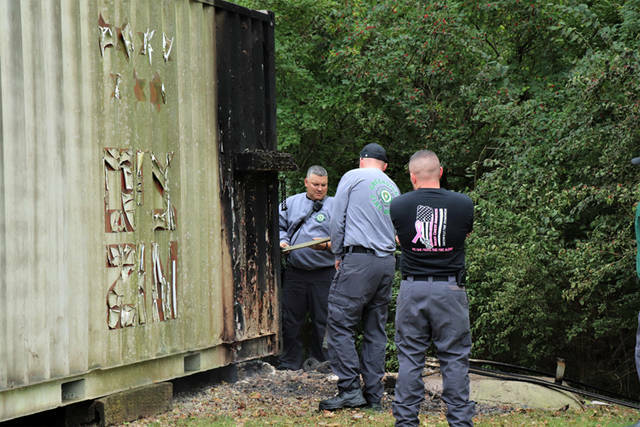 Arriving crews found a shipping container used for storage of the Darke County Aromodelers Association’s ground maintenance equipment still smoldering on the outside rear of the structure. Authorities on scene think the fire had been started some time over the night and was contained to the outside of the container, burning itself out. Equipment and other property stored inside the storage container suffered minor damage only from the exposure and heat. Because of the location of the field, and its inability to be seen from the roadway, the fire was able to go undiscovered until the arrival of a member of the association. According to the representative from the Darke County Aroemodelers Association, the field can only be accessed from two gates each leading down long lanes. He also said the firing range used by law enforcement on a regular basis also is located near the air field, making it an odd and bold occurrence. This entry was tagged Darke County Aeromodelers Association, fire, Greenville, Greenville City Fire Department, Greenville City Police Department, Greenville Fire Department, Greenville Police Department, Landess Field. Bookmark the permalink.